Anyone who experiences cold weather joint pain knows how sore it can be and that it may affect general mobility and well-being. What are the best ways to cope with these types of aches? 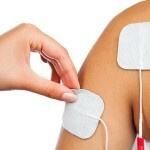 Is the TENS Unit the at Home Solution For You? Sciatica is a pain that only those who have experienced it can really understand. Not only can the level of pain be excruciating, but it can also affect movement and your ability to continue with day to day life. However, the picture is not all negative. The first step to improving your life is understanding the causes of sciatica and begin looking into the different treatment options that are available.